It was a persevering Mars rover, one who would inspire countless memories for those who worked with it and analyzed its data. Right up until NASA scientists lost contact with it, Opportunity (or as many called it, Oppy) drove far and beyond what we thought capable on the Marian landscape. Panorama Above ‘Perseverance Valley’ on Mars. Credit: NASA/JPL-Caltech/Cornell/Arizona State Univ. Last week Seattle hosted the 223rd meeting of the American Astronomical Society. That meant that hundreds of America’s leading astronomers were in town last week! I was lucky enough to catch a few free presentations from some of these researchers at the latest Astronomy on Tap, and learned how I could help astronomers through citizen science initiatives. I was 26. I had graduated from college with honors, was working a full-time job, and led an outwardly stable life. At the same time, I was experiencing debilitating anxiety and depression and struggling to cope. 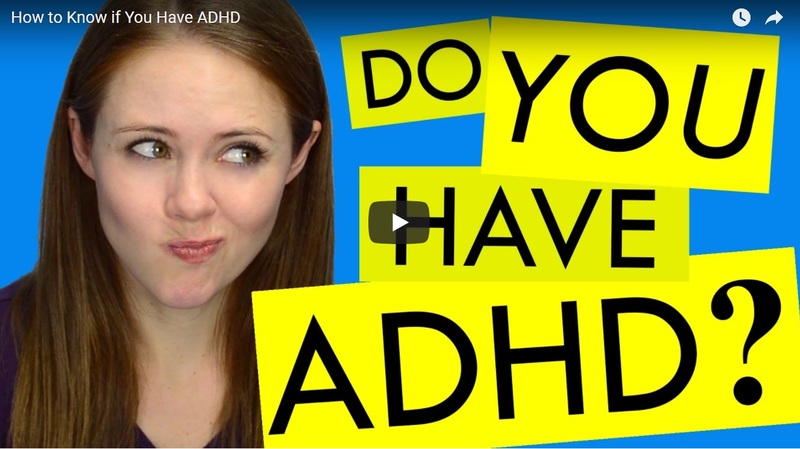 I saw myself as lazy, incompetent, and immature—I had incredibly poor self-discipline, was always forgetting things, and constantly ping-ponged between excitedly volunteering for roles and feeling completely overwhelmed. It seemed like I had to work twice as hard for twice as long to keep up with my peers. 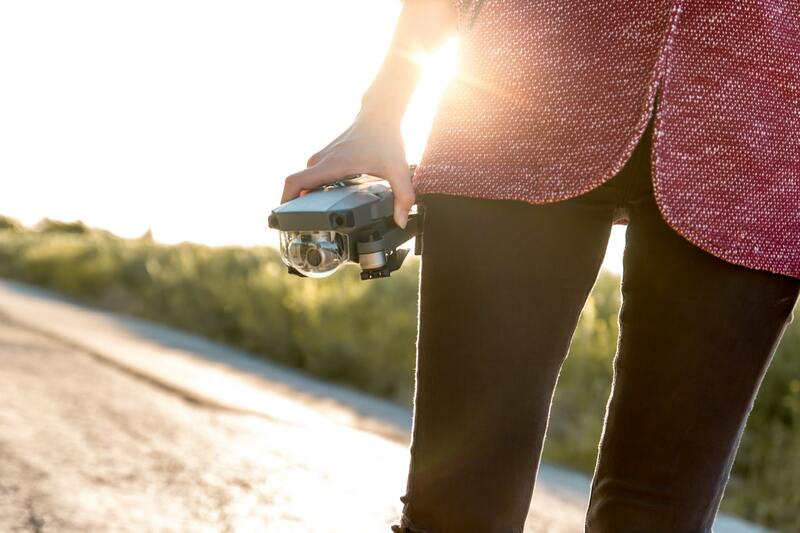 Are Drones Encouraging Women To Embrace Tech? Post by Guest Contributor, Roger Timbrook. Let’s face it. Embracing technology and being a geek is not something women are “supposed to do”, right? But, if we believed everything the world told us then maybe we would not know the Earth rotated around the sun (and not vice versa) or that it is not in fact flat. So, it is clear we have to buck the trends to make big things happen. Even today. That is why I believe that drones are just the tip of the iceberg when it comes to encouraging women to get into tech. As a pop-culture geek, I’m all about the suspension of disbelief. Give me mythical creatures, interdimensional travel, and fireball explosions in the vacuum of space—I prefer creativity to realism. 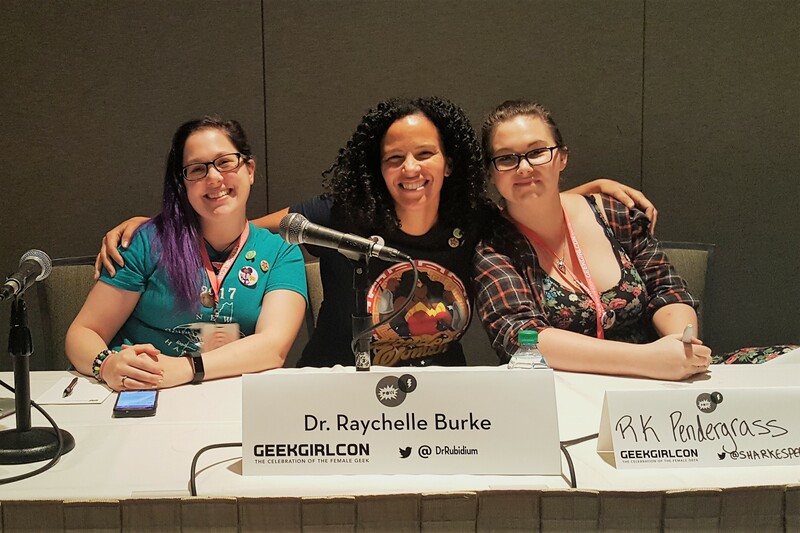 But I also enjoy digging into whether or not fictional realities play by their own rules, and GeekGirlCon ‘17’s “The Science of Wonder Woman” panel did not disappoint. “The Science of Wonder Woman” was a fantastic discussion of the Wonder Woman film from a scientific perspective. The panelists included astronomer and physics professor Dr. Nicole Gugliucci, forensic chemist and GGC DIY Science Zone project manager Dr. Raychelle Burke, and science writer R.K. Pendergrass. We’re here! Well, not quite, but with just a few days left until #GGC17, I’m in full-on excited freakout mode, and I hope you are too. We’ve got our schedules, our apps, and we’re ready to have an amazing Con weekend. Over the past few weeks we’ve been giving you a preview of the amazing panels we have coming up, divided into all the themes we geeks are most passionate about. We’ve covered Social Justice, Diversity and Inclusivity, GGC After Dark, Pop Culture, Fandom, and Gaming. But as if all of that wasn’t enough to get you completely psyched for this weekend, let me introduce you to a group of panels that I am personally counting down the hours for: the STEM panels! Did you know that the first computers weren’t wires or blinking lights, but women? From the first computer program to sending men to the moon, women were technological leaders. So why is it so hard to find safe work environments and equal salaries for women in technology? Moderated by Asia al-Massari, the panel From Note G to NASA: Women in Coding and Programming invites you to join self-described lady-coders, Amanda End, Allison Borngesser, and Amy Wibowo, to discover what being a coder is all about! Whether you’re squeamish around creepy crawlies or a full-on bug fanatic, the panel Different Isn’t Bad: What Bugs Can Teach Us About Being Brave will open your eyes to all the unexpected and amazing things that bugs can teach us. Meet The Bug Chicks, Kristie Riddick and Jessica Honaker, entomologists using bugs to talk about social issues like prejudice, racism, sexism, and feelings of isolation, while simultaneously teaching about insects, spiders, and their relatives. They make videos and talk with young people all over the world, inspiring bravery and open-mindedness. You’re sure to find your inner bugdork here! 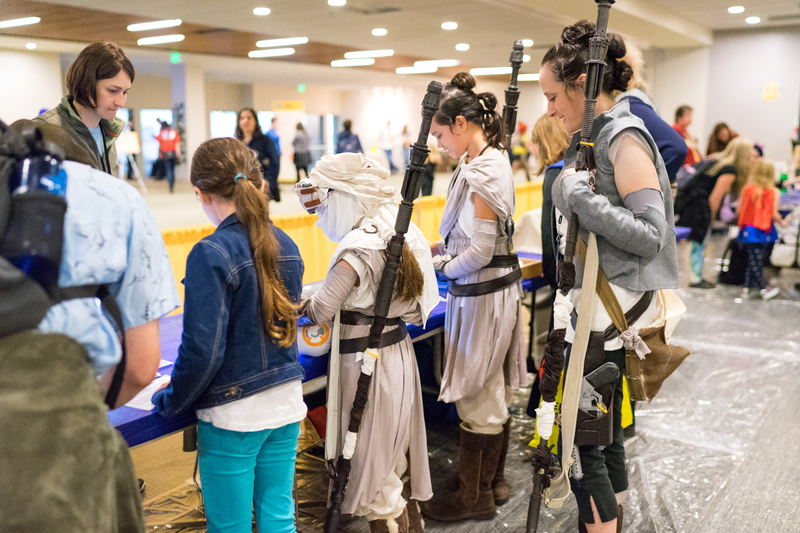 Last but certainly not least, the panel Droid Building 101: Make Your Own Astromech!, moderated by Christine Cato, will discuss the methods used by members of the BB-8 Builders Club and Astromech builders club to create their own BB-8 and Astromech droids. The panel will include a brief history of the two clubs, the materials they used to make their droids, and a peek into how to make your own! I, for one, am extremely ready to learn more about all things coders, bugs, and droids. I hope to see you at these incredible panels, as well as all the others we have scheduled this weekend! 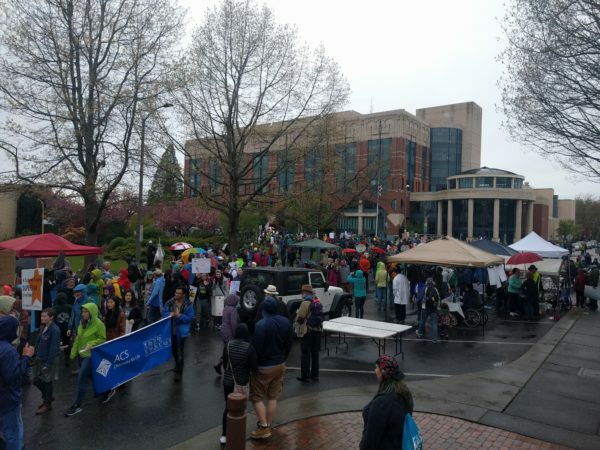 The March for Science took place on Earth Day in late April this year. While the main March took place in Washington D.C., there were over 600 satellite marches that took place to support the importance of science is to our health, economies, food security, and safety. One such event took place in Bellingham, WA. 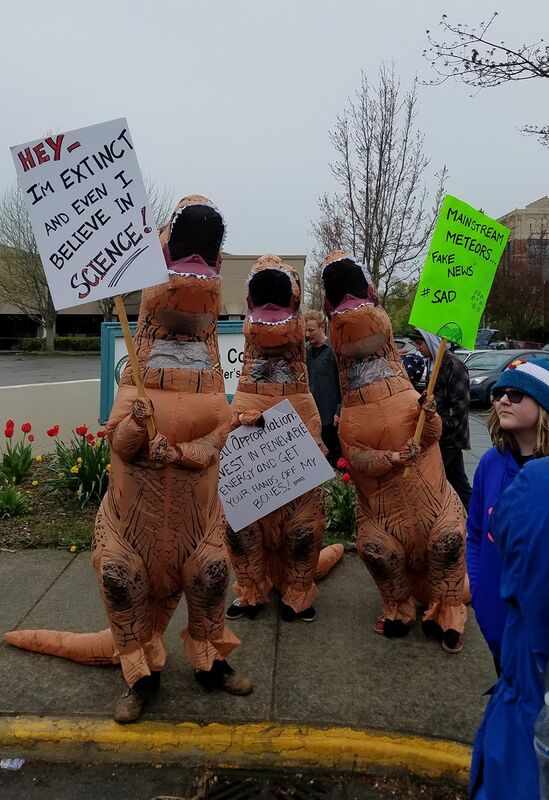 I spoke to one of the organizers, Regina Barber DeGraaff, about her involvement in the March for Science in Bellingham, and the importance of science policy and communication. Hi Regina! Tell me about yourself. I teach Physics and Astronomy at Western Washington University (WWU). I am also the STEM Inclusion and Outreach Specialist which is a position I created a couple of years ago. The College of Science and Engineering Dean at the time was very supportive of equity and inclusion so she agreed to create my half time position. I grew up in Lynden, WA which is just south of the Canadian border in the top right tip of Washington State. I spent my summers in San Diego, CA and attended WWU as an undergrad. 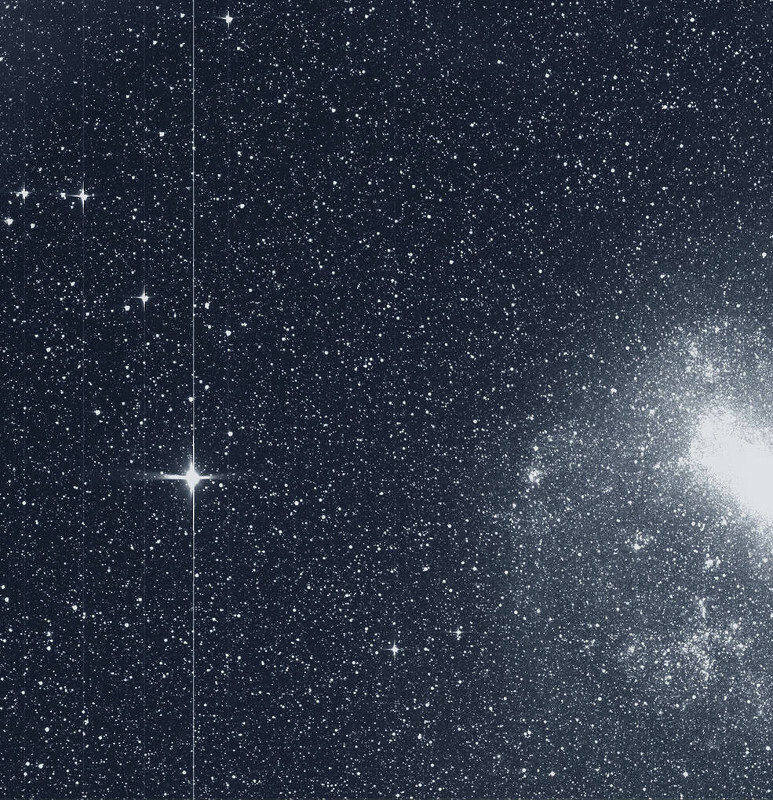 After completing a MS in Physics at San Diego State University, I finished my PhD in Physics at Washington State University in 2011 with a focus on Globular Clusters using Hubble Space Telescope images. I have taught at a high school & two community colleges. 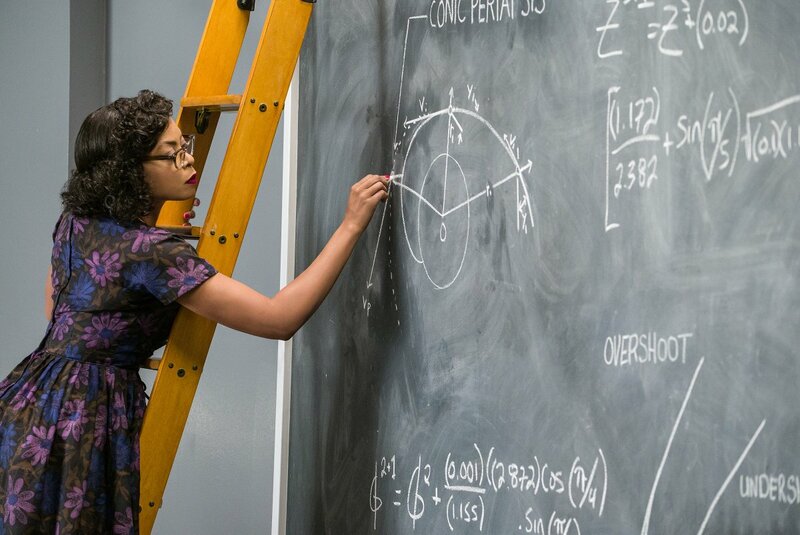 Being a women of color in STEM, my experience as a community college student in running start and teaching at various institutions is the source of my unique perspective when it comes to inclusion in STEM. I am also very passionate about science communication. I host and produce Spark Science which is on its 3rd Season. The goal of the show is to make science accessible by confronting the scientist stereotype. In 1992, only 21% of individuals coming from families with annual incomes of $25,000 or less qualified for admission to a four-year university, and only . 8% were minority graduates. Unfortunately, the numbers have not changed nearly enough in the last decade. However, with a significant increase in female college enrollment since the 1970s and the rise of women in technology, the ability to teach skills to students from low-income neighborhoods then can be utilized to help them succeed in life on a much larger scale is extremely enticing. Therefore, when Eben Upton and a group of his colleagues at the University of Cambridge decided to create a cheap and efficient computer that could be used to show children the power of code and computer technology, the game was changed forever. Thus, the Raspberry Pi was born. 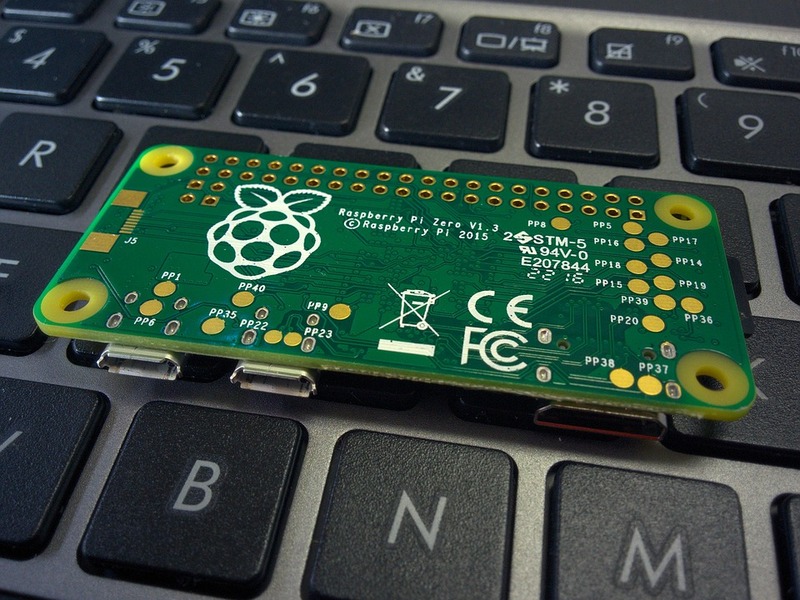 Programming and Code For Low-Income Schools: It’s A Piece of Pi! For many students across the globe coming from low-income households, trade school courses are their life, from the first day of kindergarten to their last day of high school. The skills gap remains a global problem even now. 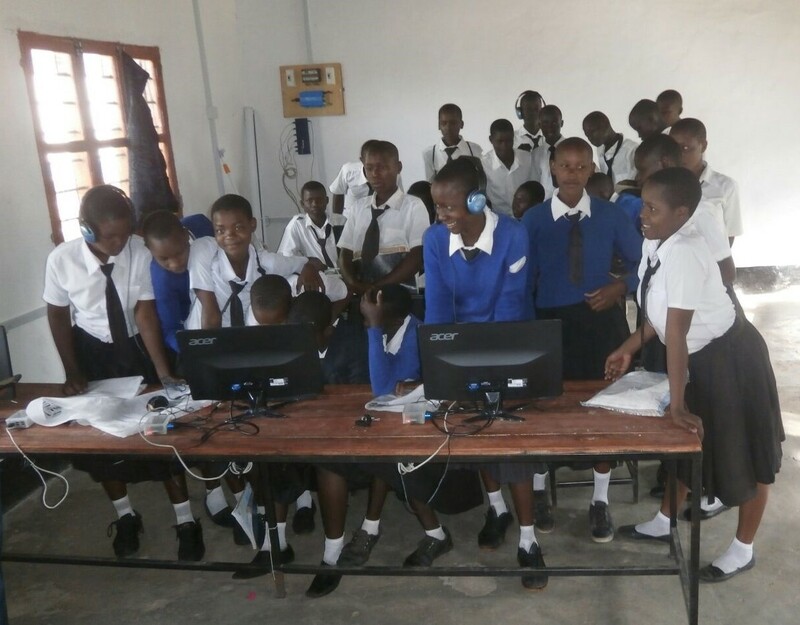 Instead, if these students were given the ability to learn more than the basics which allow them to only receive low-wage professions, they could reverse this trend and help create an economy that reflects a growing parity in no time. Just as doctors must take the Hippocratic oath, educators are asked to take the educator’s oath. This oath says, “I promise to seek and support policies that promote quality in teaching and learning and to provide all engaged in education the opportunity to achieve excellence.” Despite this, children who come from low-income households are often neglected and the low-income schools they attend are seldom given the amenities necessary to train these children to change the world and their lives, even though studies suggest that the key to power in the workplace is education, especially for women. Therefore, when these children are provided with sub-par education, they are ultimately set up for failure from the start and not given the tools necessary to achieve their goals in life.